Transnet says that it has experienced interruptions to operations on the Richards Bay Coal Line as a result of violent community protests that are taking place in certain areas of KwaZulu-Natal. The protests relate to community demands for jobs and business opportunities. As a result of the disruptions, Transnet has been forced to suspend coal line operations, affecting service to customers and causing potential losses to the South African economy. The Richard’s Bay Coal Line is the country’s dedicated railway line which handles South Africa’s coal exports by connecting the mines in Mpumalanga with the Richards Bay Coal Terminal (RBCT) at the port of Richards Bay. The line also moves domestic commodities such as chrome, coke, chemicals and timber. Transnet says in a statement that it is working closely with customers to ensure minimal disruption. “We have deployed security in the affected areas and are working with relevant authorities to safeguard our employees, infrastructure and the assets of our customers. The company says it is open to engaging with relevant parties with a view to finding a common solution to the challenges. The Kenya government is preparing a fresh tender for a concessionaire to manage and operate the second container terminal at the Port of Mombasa. Phase 1 of the second container terminal was completed last year and the appointment of a concessionaire to run this was cancelled earlier this year due to claims of irregularities and disputes among potential tenderers. As entry and end points, ports need to evolve as trade and cargo volumes to and from cities continue to grow. 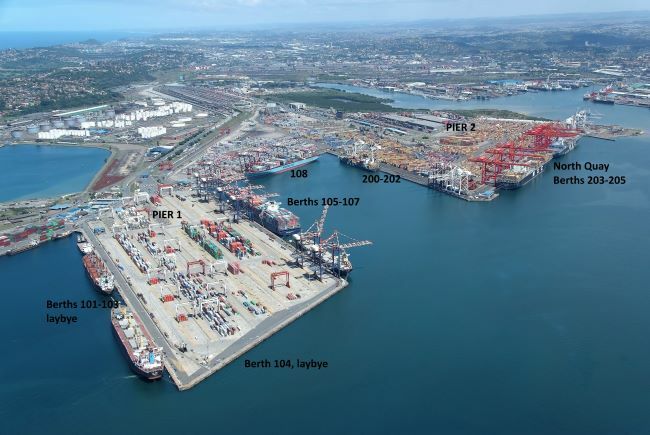 Port development, against the backdrop of Operation Phakisa, will be driven by bigger vessels, broader carrier alliances, container capacity consolidation and larger hub and spoke networks. These will change costs and the way profits are generated from operations. Hartwell says port operators must question how they going to manage increased investment with demands for improved productivity and higher service levels. We need to drop the current linear approach (simply increasing size and scale) for a circular approach. 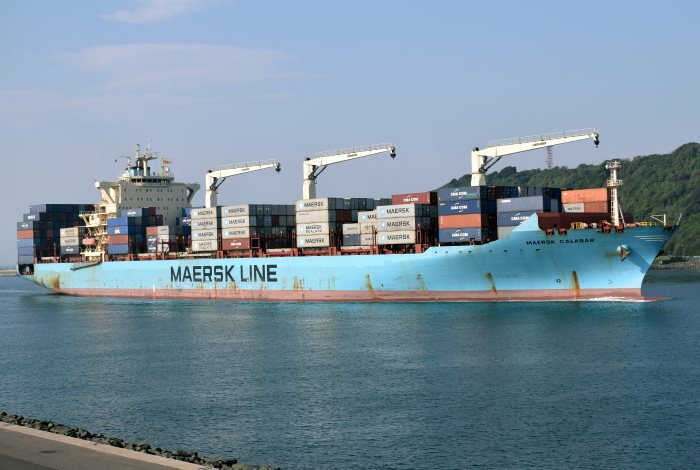 Port operators of the future will need to be highly IT-savvy (using cloud-based networks, for example, to connect with partners and process huge amounts of data) and vessels will need to be constantly and reliably connected to the internet. In the port of the future, transhipment hubs will play a critical role, carrier vessel networks will be more advanced, as will tools to integrate vessel terminal and port data to help carriers and terminals optimise the assets utilisation and reliability. Various processes will be automated. Hartwell also says we need a “productivity quantum leap” at container terminals. Computing power, new technology and interfaces and shared data will be essential. 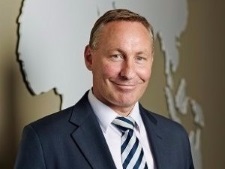 He believes Africa – and South Africa – is the place for investors for the foreseeable future. “South Africa is ideally placed with its existing port infrastructure and intellectual capacity to be the leading hub into Africa and to be a leader and investor in ports in the rest of the continent since Africa hopefully will need more than one major hub at its bottom end. 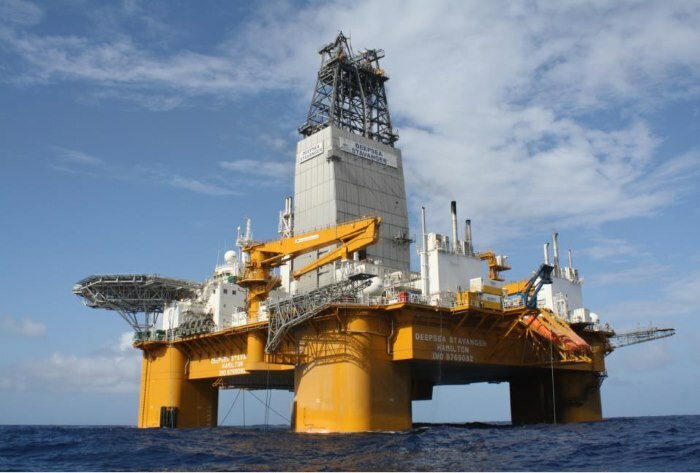 The Norwegian drilling company Odfjell Drilling says that it has been awarded the contract to drill a new offshore well off South Africa on behalf of oil company Total E&P South Africa. Although a continuing decline is being reported in the number of acts of piracy, specialists in the field warn of complacency being allowed to creep in. 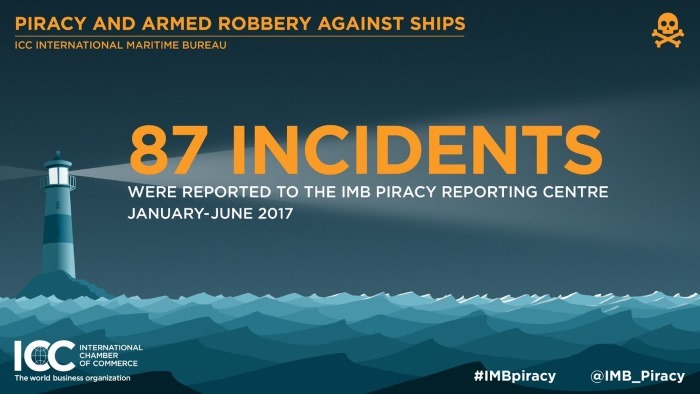 According to the International Maritime Bureau (IMB) of the International Chamber of Commerce, representing 137 member countries and territories, a total of 87 incidents were reported in the first six months of this year, ten down from the 97 reported for the same period in 2016. 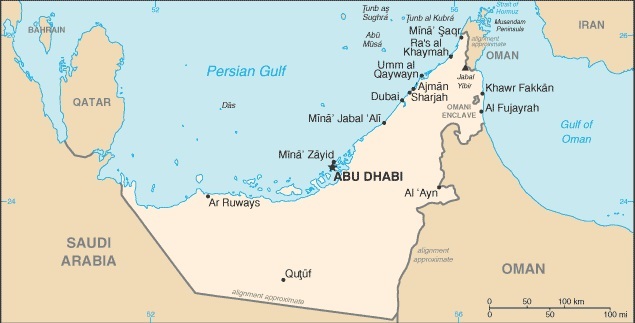 The United Arab Emirates (UAE) has set its sights on gaining membership to the International Maritime Organization (IMO) Council, the international agency responsible for shipping laws, maritime safety and navigation conventions. 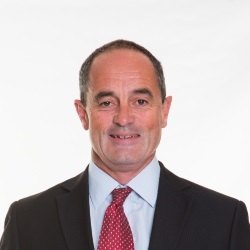 According to the TradeArabia News Service the decision to run for membership of the Council falls in line with the UAE’s role as a major player in the international maritime sector, backed by its leading position on ports management and global position as among the top three countries in terms of quality in port infrastructure. Royal Boskalis Westminster N.V. (Boskalis) has announced that the mega cutter HELIOS was named and christened during a festive ceremony in the port of Rotterdam, the Netherlands. 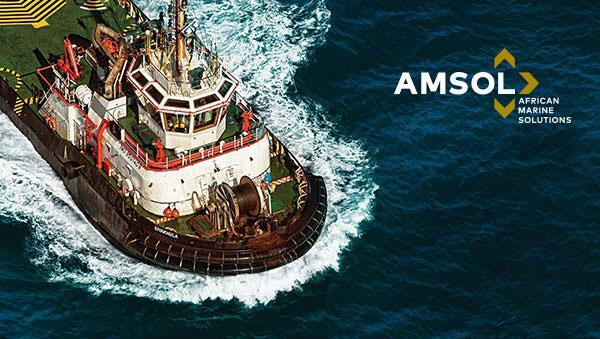 Helios is the largest and most powerful cutter suction dredger Boskalis has ever developed. 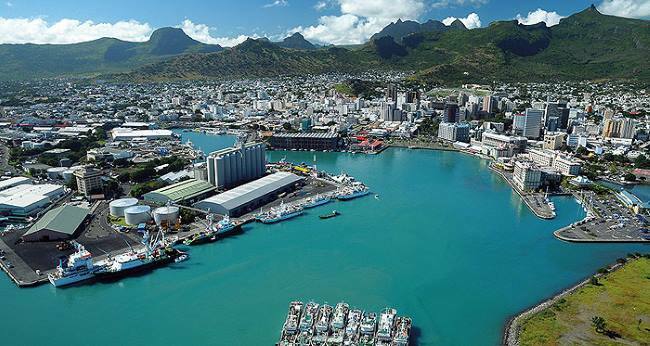 Are there other ports around the world, especially large and strategically important national ports claiming to be among the biggest and busiest on a continent, that issue notices such as this one which was sent to us yesterday (Wednesday 5 July)? How long the port remained closed for shipping is not clear, but this is not the first time such notices have appeared – it appears to be quite a regular affair. What was so important about the meeting that it couldn’t have been handled by shop stewards, or in batches as the shifts changed without disrupting the work of an economically embattled nation, we wonder? Ja wel no fine, this is Africa – just close the port! As if that was not enough, this morning (Thursday) just as we were going to publication a further notice was distributed, saying that yet another meeting is taking place and that the port is closed [AGAIN] and will be “non-operational” between 06:00 and 08:00. By 09:30 this morning (Thursday) the ‘meeting’ was over but the port remained closed to shipping, as the pilots are now having their own meeting! Please note that the TNPA Port of Durban will be hosting Wellness Day on the 7th July 2017 [tomorrow] for its employees and as such here could be interruptions to operations. We will however endeavor to ensure continuity. That will be Day 3 of disruptions. Are we alone in thinking that the ports are there to serve the clients, i.e. cargo owners and their respective agents, and not their employees? 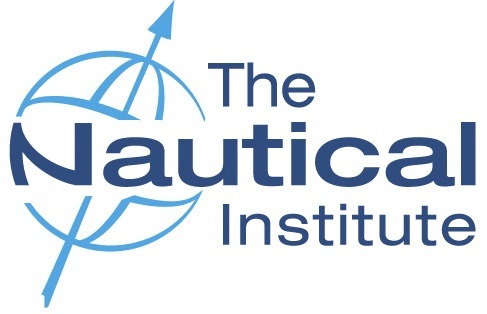 The Nautical Institute today (Wednesday 5 July) launched the Ice Navigator Training and Certification Scheme. This is the latest in the Institute’s expanding series of professional training schemes and has been developed in response to rapidly growing demand for officers with proven expertise in handling ships in ice. While the Scheme is designed to complement IMO’s Polar Code, course content is not restricted to the Polar regions, and it expands on the minimum requirements of STCW. The focus is on actual shiphandling and operation of vessels in ice-covered waters worldwide. The Scheme is open to those who hold, or are studying towards, a deck officer qualification awarded by a White List administration. 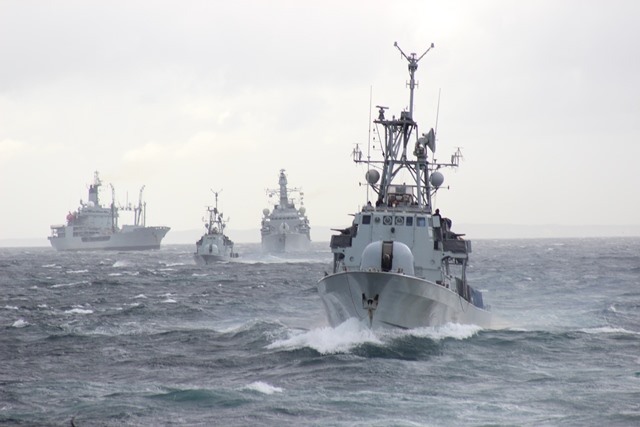 Participants must demonstrate practical competence on board and in simulator exercises, and show a thorough understanding of ice regimes, including ice physics, operations in sea ice, hazards, search and rescue and weather. Under ‘grandfathering’ arrangements, a participant who can prove they have prior experience in ice may be eligible for the award of either a Level 1 or Level 2 Ice Navigator Certificate. Training providers that offer the NI’s Ice Navigator Scheme courses must be fully accredited to The Nautical Institute’s rigorous Training Accreditation Standard. All training centres are audited to ensure consistency of delivery around the world and to ensure that they meet the highest professional standards. Award of an NI Ice Navigator Level 1 or Level 2 certificate means the officer will possess an internationally recognised qualification, valid for five years, demonstrating they have the competence and confidence to navigate safely in ice anywhere within the limits of their CoC. The Nautical Institute has a strong track record in providing best practice guidance for operations in ice, including Polar Ship Operations, by NI President Duke Snider FNI and Handling Ships in Ice, by Johan Buysse. New editions of both books are currently in preparation. 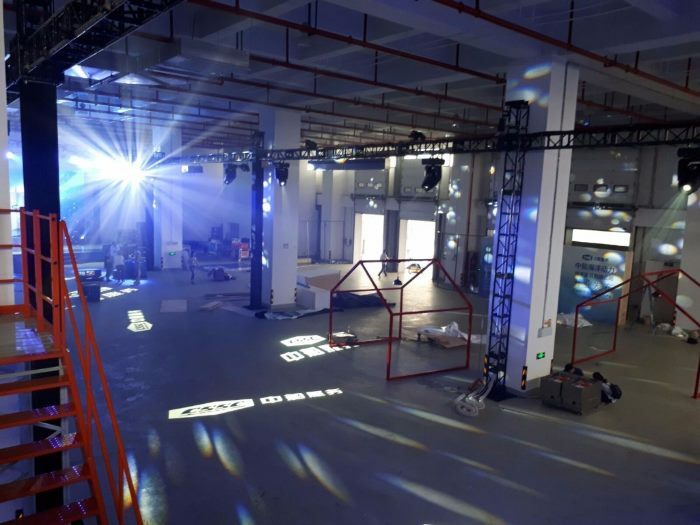 China State Shipbuilding Corporation (CSSC) this week formally launched a new business CSSC Marine Service Co, Ltd, to coincide with the inauguration of their new logistic centre within the Yangshang free trade zone, Shanghai. Able to accommodate over 20,000 kinds of original small parts including fuel injection equipment, piston rings, pipes, flaps and valves, and large parts such as cylinder liners, covers and piston crowns. The third party operated centre forms phase one of an overall project for CSSC Marine Service Co, Ltd.
CSSC Marine Service Co, Ltd was established earlier this year to facilitate lifecycle services and flexible solutions to the entire CSSC product portfolio. This new logistics centre is the first step to enable quicker responses to customer needs. With future plans for expansion of the current represented service centres in Hamburg, Athens, Singapore, Houston and Dubai, which in total will see six strategic service hubs and 28 service stations worldwide by 2020. 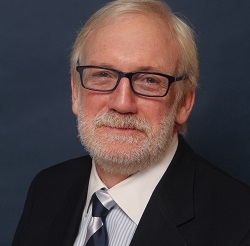 Andrew Stump, President, CSSC Marine Service Co, Ltd (pictured), commented: “In the future CSSC Service will manage parts, field service and warranty for all CSSC manufactured products. There will be a particularly strong focus on Low Speed main engine and medium speed auxiliary engines from brands manufactured by CSSC. Our logistics centre will act as the hub for our global distribution network with the aim to be capable and efficient in the delivery of key engine components on a global scale. We know this will take time and energy to ensure we are in the right places to support the vessels needs, but we are confident that our young, exciting and energetic team will progress very quickly”. CSSC Marine Service Co, Ltd registered in Yangshan Free Trade Port Area, Shanghai, China, on 23 January 2017 with a capital of one billion RMB and is a new subsidiary of China State Shipbuilding Corporation (CSSC). 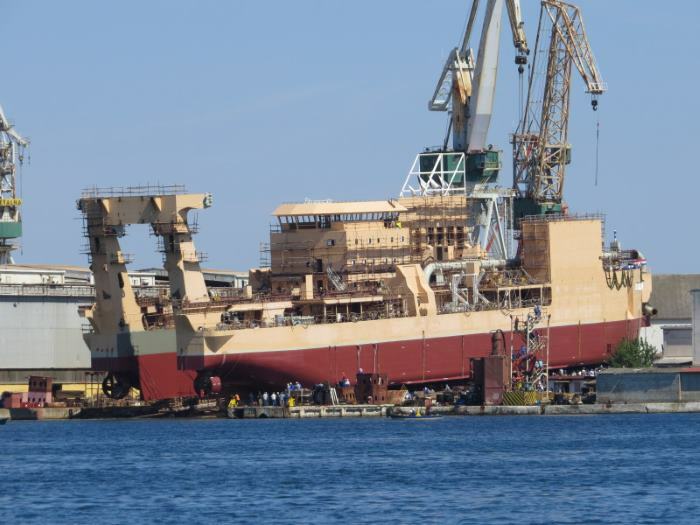 A joint investment by China Shipbuilding Power Engineering Institute Co, Ltd CSSC Marine Power Co, Ltd, Anqing CSSC Diesel Engine Co, Ltd and China Shipbuilding Trading Co, Ltd with ratio of shareholding of 65%,20%,10% and 5%. 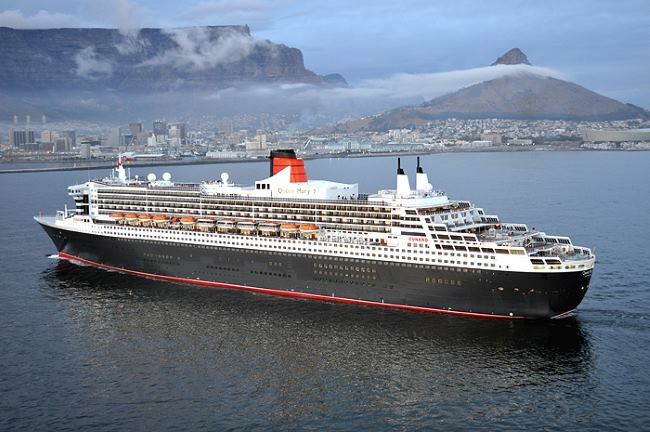 One of the things that has always piqued interest among those less familiar with the sea and countries and peoples of far-away foreign lands, has been the exotic sounding names of ships that encourage thoughts of adventure, wonder and exploration. Perhaps with today’s modern, instant world filled by apps and instant gratification, such mysterious sounding names as MAERSK CALABAR no longer arouse the interest of the young and impressionable? 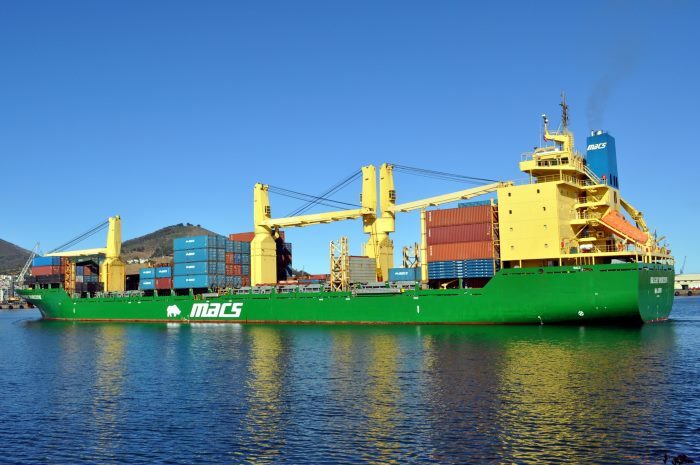 Be that as it may, the very name is enough to make at least one other person still curious about where Calabar is and what it looks like – long may the shipping companies continue to name their ships so evocatively.